chance to own this awesome Toyota legend. 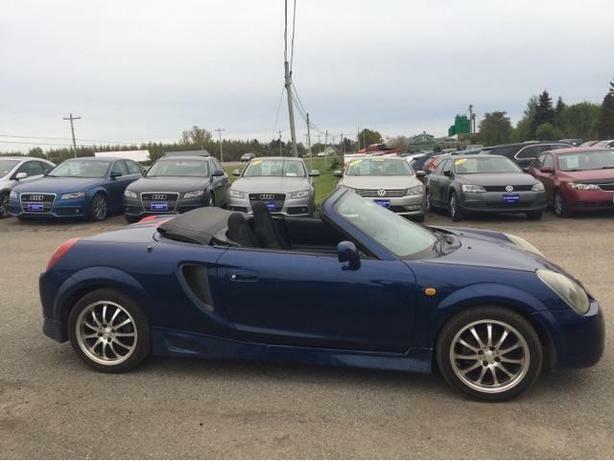 The MR2 or MR-S as it's known in Japan is a unique vehicle which was only available in limited quantities in the North American market. This right hand drive, JDM, MR-S features the ultra reliable and sporty Corolla 1.8L engine and a manual transmission, all blended into a super lightweight and well suspended package. This vehicle will not last long in our inventory, so please call or email to inquire.